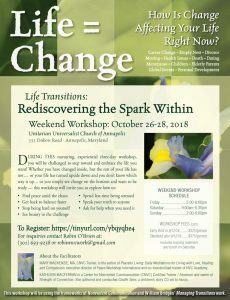 How Is Change Affecting Your Life Right Now? MARY MACKENZIE, MA, CNVC Trainer, is the author of Peaceful Living: Daily Meditations for Living with Love, Healing and Compassion, executive director of Peace Workshop International and co-founder/lead trainer of NVC Academy. KATHLEEN MACFERRAN is a Center for Nonviolent Communication (CNVC) Certified Trainer / Assessor and owner of Strength of Connection. She authored and conducted Giraffe Tales, a children’s story CD set to music. 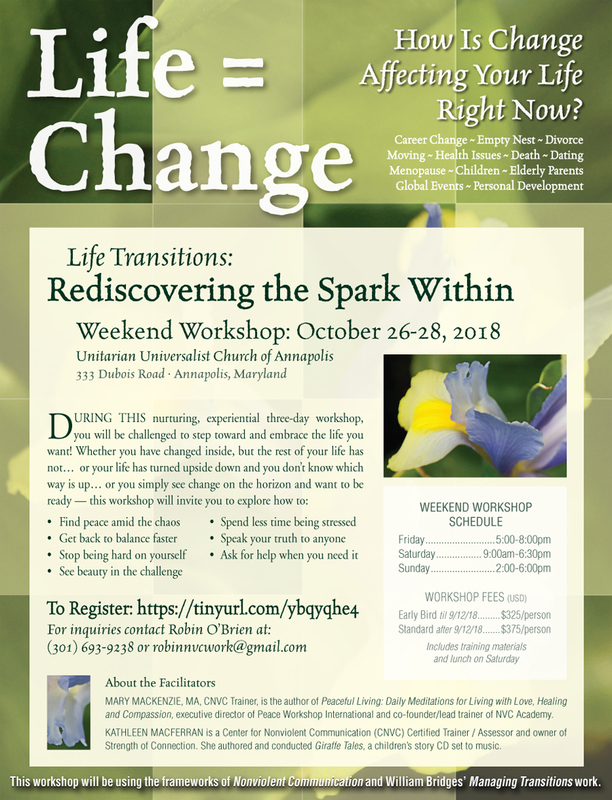 This workshop will be using the frameworks of Nonviolent Communication and William Bridges’ Managing Transitions work.